I wore my new Speed Wunder Tights to bootcamp today and am completely in love with the fabric. I think this is the most breathable full on luxtreme fabric I've ever tried on or worn. The fabric feels nicely silky on, has a matte finish, and is nicely smoothing if you have some cellulite. 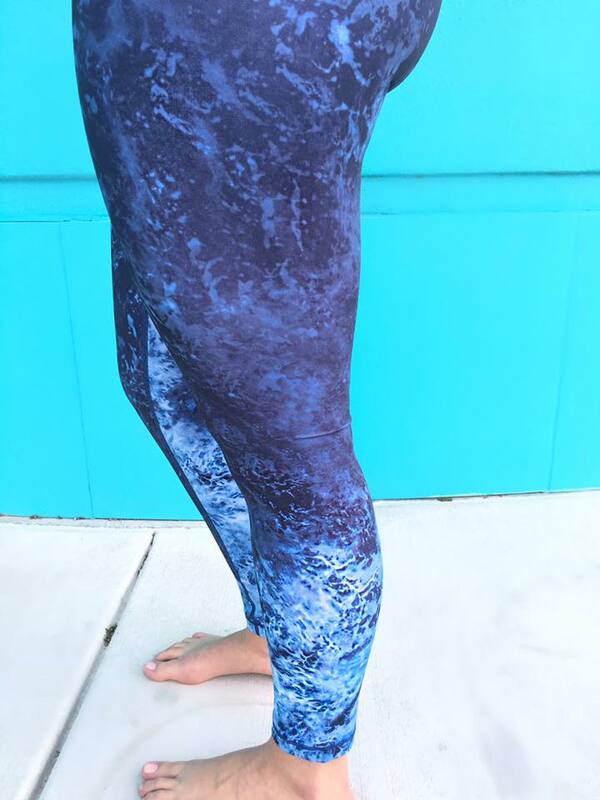 I don't know if this was by design or just an accident with this color but I usually only grudgingly tolerate full on luxtreme bottoms because most prints come in it and I have no other choice. It's thicker, opaque, and gives better coverage than regular luxtreme but I find it noticeably hotter for workouts than regular luxtreme. 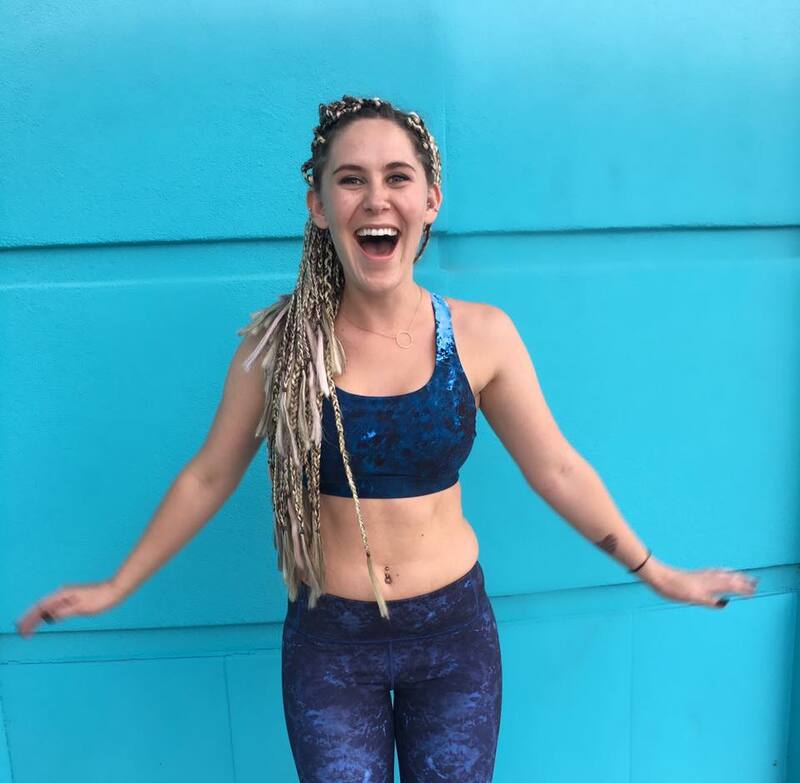 If you don't live in a warm climate like me that probably isn't a big deal to you but I am on a constant hunt for the coolest workout fabrics and styles. That is not the case with the full on luxtreme in these pants - it's as cool as regular luxtreme. I know I've read some comments that these pants are sheer but I took a bunch of bend-over selfies with my phone and I didn't see anything. I know the manager at my local store made a point to tell me these were digitally printed, which means the print ends up in the same spot in all the pairs. I would only love these pants more if they had thigh pockets and/or came in crops. They definitely hit the trifecta of prints for me - denim blue color, tie dye, and ombre. If you were on the fence about these, I would definitely give them a try. Sizing is TTS and the fit is very comfortable. Deep Sea Wunder Tight and H20 Energy Bra. I had to share my conversation with educator in an online chat. This morning I wore my rugged blue align's to the health club. I was doing barbell work with some burpees peppered in there. It is hot and humid inside and I quickly became sweaty. Well sure enough the rugged blue showed sweat stains between my thighs. As the fabric wicked it away, the stain became larger and larger so by the time I left...it looked like I had pee'd my pants. I came home and went straight to the computer and started an online chat. I asked simply to return them. She was very kind and agreed and asked what I was doing. I explained as I did above and she said that these were made for yoga and would pill if I used them for workouts like that. I then asked her to suggest some pants that could endure those rough barbell lunges (LOL) and asked about hi rise wunder unders. She said she probably wouldn't use those for my type of activity either and suggested I look to the run line. Sooooo. Apparently luxtreme is the only thing we should lift weights in? I loved everything about them but the rise hit me in a bad place. I wish the rise had been more like the higher waisted WU's. So happy to read your review LLA! I was on the fence after reading they were sheer then saw them completely sold out in most sizes including mine but was able to have my store track them down at another store and they are on their way to me! I can't wait !!! I don't know why they got rid of the thigh pocket. That's the best part of speeds for me. @ anon 4:16 pm - The seaming is like Wunder Unders so there are no seams to attach a thigh pocket to. @ anon 12:56 pm - I find luxtreme the coolest to workout in because the material wicks the sweat away. You have to assume any light color, no matter the material, is going to show sweat like that. yes for sure, if your going to sweat like that i'd suggest wearing shorts like speeds, or just stick w/ black! Hey dogrunner, I've found the high rise Wunder Unders in full-on Luon work well for me, in the patterns, not solids. I do burpees, sprint, lift, row, everything in them. Something about the patterns helps conceal any sweat marks. I've given up on any solid bottoms (except black) for high sweat workouts. Aligns/WUC/WUP are engineered and designed for yoga. I definitely find luxtreme run bottoms much better for weight/cardio workouts like you described. 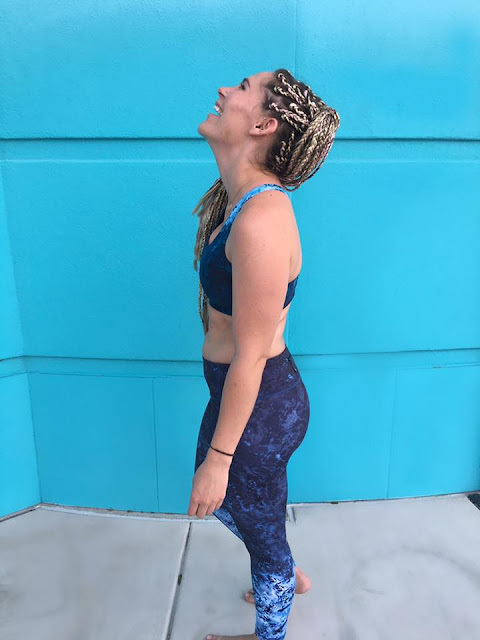 They are cooler, feel better (compressive) and hide sweat much better and just all around much more comfortable for those type of workouts overall. The other nice thing about luxtreme is that it doesn't pick up pet hair and lint like luon and nulu. That is a huge draw for a lot of people. I agree luxtreme is my choice for sweaty activities like running, weight lifting, kettlebell work and floor work as well as HIIT. In terms of the sweat on your workout clothes, when I see someone at my gym or running and they show sweat, my first thought isn't pee or gross, I think, they working hard. Educator here.. Please don't feel bad for returning if you weren't stoked on your pants, that's why the policy is set in place. If a guest mentions anything involving lifting or getting sweaty I always recommend Luxteme first due to its coolness and quick drying ability. Luon won't be bad for what you're doing but the risk of showing sweat or pilling like you mentioned is higher. Luckily Wunder Unders and High Times come in Luxteme editions as well. Hope you find something you love!